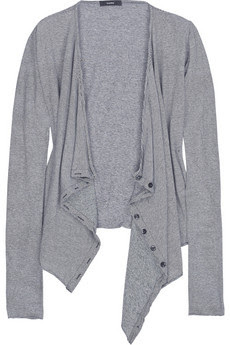 This drapy, cascade front cardigan by Bassike looks so comfortable and yet chic! Perfect for throwing on to run errands or just look effortlessly cool. The material is organic and if you look closely actually a black & white stripe - tres nautical! Buy at Net-A-Porter for $190. If you like this, you have to check out http://www.modcloth.com/ They have a lot of things. One of my favorite is the "Be the Buyer" where you can vote on the next items that go into production and then sale on the web site.